You're so distracting all the time. I over-complicate my life like a 4 year trying to avoid bed time. Just ONE MORE detail. Just ONE MORE order. Just ONE MORE design. Just A FEW MORE colors. JUST ALL THE THINGS EVER BECAUSE NOW THAT I'VE GOTTEN TO THIS POINT I KNOW YOU WON'T SAY NO!!!! And jumping on the bed. And some crying in the closet while eating ice cream. But definitely....definitely not a 4 year old quietly sleeping in her bed at a reasonable hour. 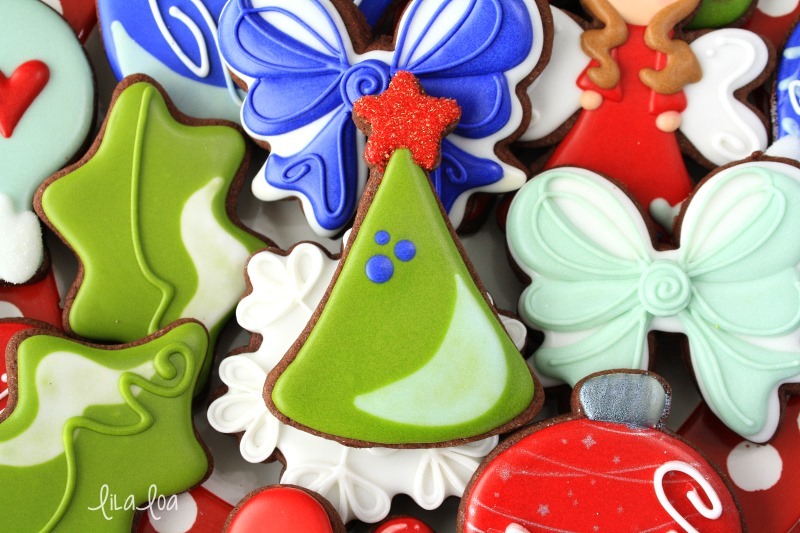 So...yeah...on the off chance that you ALSO need just ONE cookie design in your life that isn't too complicated this season -- I present to you - these trees. 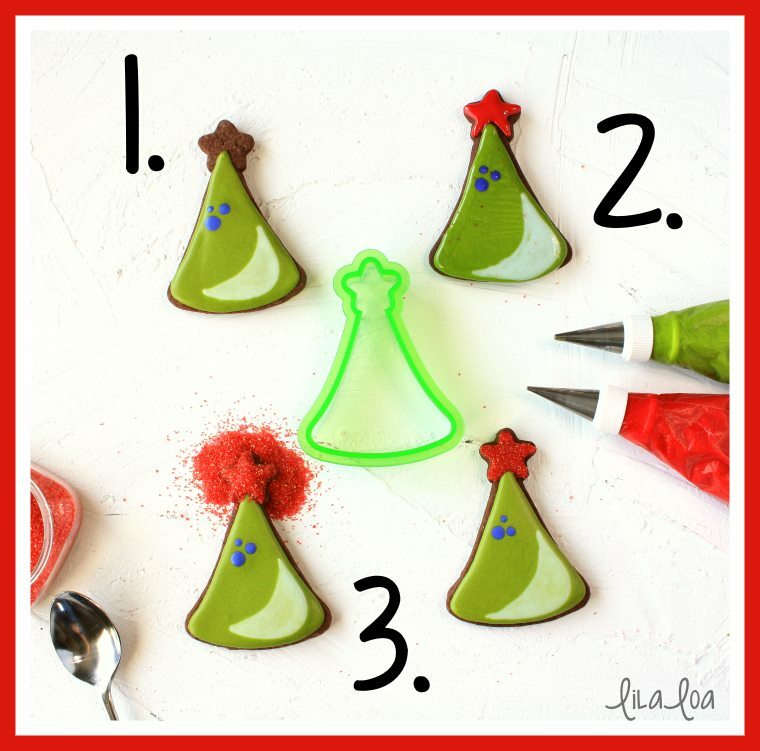 Outline and fill the tree area of the cookie with a #3 tip and a medium consistency green icing. While the icing is still wet, add 3 dots of blue icing to the upper left corner, and a umm...mouth shape of lighter green icing on the bottom right. (This Christmas tree just got real weird, real fast.) Let it dry for a couple of hours. Fill in the star shape at the top of the cookie with red icing. 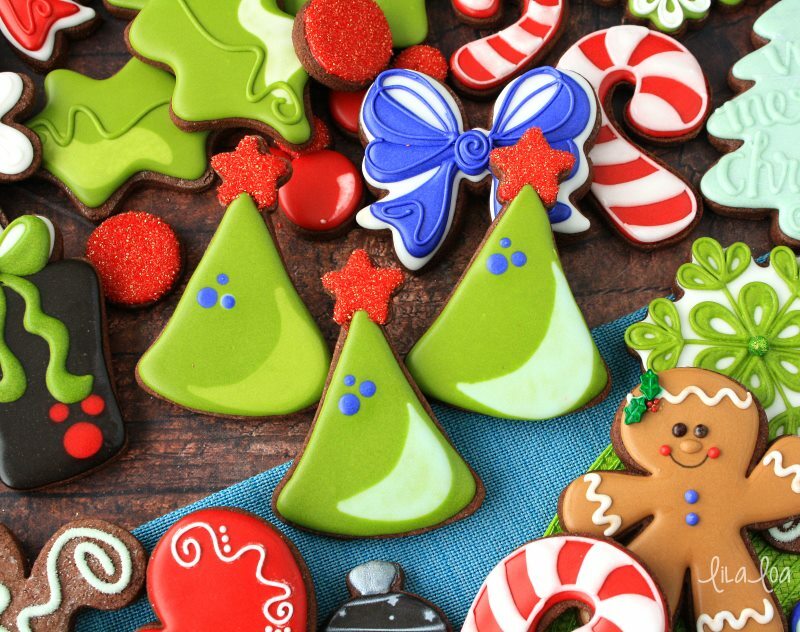 Grab the cutters: TREE, HOLLY, GIFT, BOW, CANDY CANE, GINGERBREAD MAN, and SNOWFLAKE. Check out Delorse Sword's AMAZING BOW COOKIE TUTORIAL. Need a quick tutorial for an easy gingerbread man? I've got you covered!